The Akbar Nautical Training School for Boys was opened in 1909 at Heswall, on the Wirral, Cheshire. It replaced the Reformatory Ship Akbar which had been scrapped in November 1907. 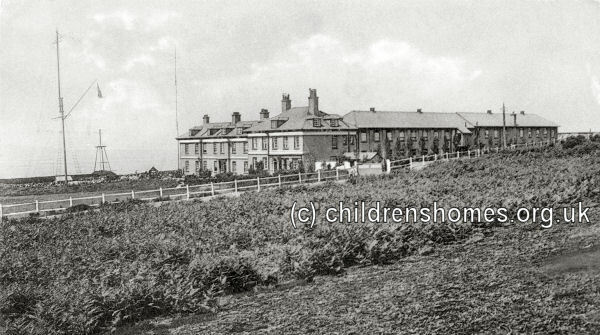 The boys had then lived in camp accommodation at Heswall for the next 18 months. The new permanent premises were certified for use as a Reformatory School for 210 boys on April 19th, 1909. The School was officially opened on September 3rd, 1909, by Sir William Bower Forwood. As well as seamanship and marine signalling, boys at Heswall were taught tailoring. They could also develop musical skills in the School's military band. The layout of the School is shown on the 1912 map below. 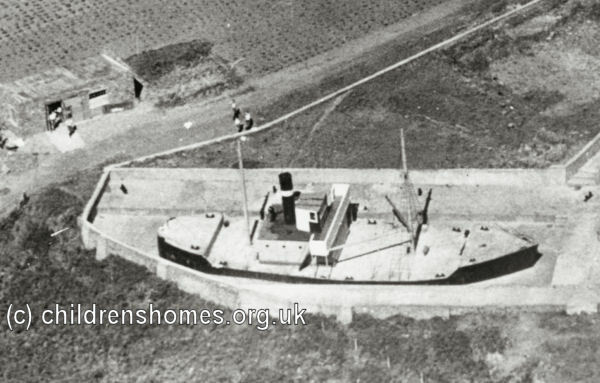 Akbar Nautical School site, Heswall, c.1912. 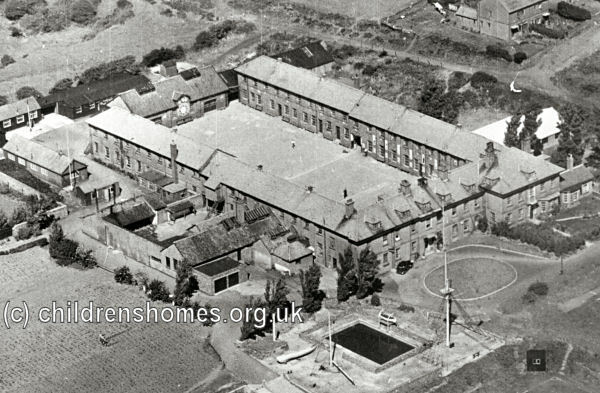 An Auxiliary Home for the School was opened on July 20th, 1910, at Kempthorne House, 533 New Chester Road, Pock Ferry, Birkenhead. The home could accommodate up to 15 boys who were 'paid off from their ships and awaiting employment'. The home was also used by boys from the Liverpool Farm School at Newton-le-Willows. Kempthore House was closed in January 1923. In October 1910, the weekly magazine John Bull published an account of "Reformatory School Horrors — How Boys at the Akbar School are Tortured — Several Deaths". The story was based on information given to the paper by Mr and Mrs Adams, the former deputy superintendent and matron at the Heswall School. Amongst their accusations were that boys were gagged before being birched, that boys who were ill were caned as malingerers, that punishments included boys being drenched with cold water or being made to stand up all night for a trivial misdemeanour. It was further alleged that boys had died as a result of such punishments. A subsequent Home Office investigation by Under-Secretary C.F.G. Masterman rejected all the charges although found that there had been instances of "irregular punishments". John Bull stood its ground, calling Masterman's report a "white-washing" and claiming that staff at the school who had spoken out against its principle, Captain Beuttler, had been threatened by a Home Office Inspector. As a result of the continuing disquiet over the affair, Home Secretary Winston Churchill appointed a Departmental Committee to conduct a broad review of Reformatories and Industrial Schools. As the aerial view shows, the facilities at the School subsequently included an outdoor swimming pool and a training vessel in a dry dock. In 1933, the School became one of the new Approved Schools introduced by the 1933 Children and Young Persons Act to replace the previous Reformatories and Industrial Schools. Heswall was designated as an Approved School for Senior Boys, with places for 200 boys (later reduced to 120) aged from 15 to 17. In 1944, the Captain Superintendent of the School resigned following allegations that acts of indecency had taken place on the premises. 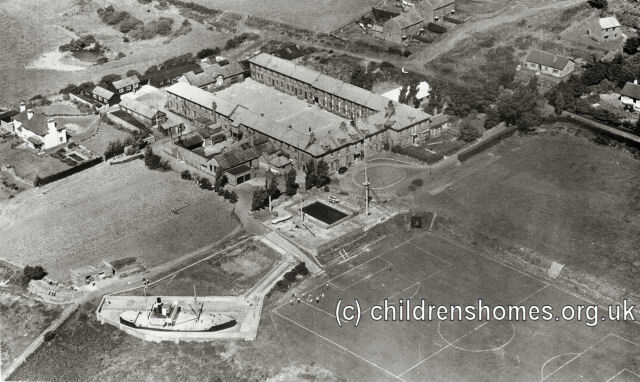 Also in 1944, the School's was officially renamed as the Heswall Nautical School. The School closed in 1956. The buildings no longer survive although the School is remembered in the name of the residential development, The Akbar, that now covers the site. Lancashire Archives, Lancashire Record Office, Bow Lane, Preston PR1 2RE. Holdings include: Admission Registers (1939-45); Form B Monthly Admission/Discharge returns, includes boy's names and numbers (1937-57); Captain's punishment books (1939-55); Index to licensing registers (1920s-1950s). The National Archives, Kew, Richmond, Surrey, TW9 4DU. Has various reports on the School including one on the Captain Superintendent's resignation in 1944.